"Happiness is inside of all of us, sometimes you just need someone to help you find it." DreamWorks Anim has released a new full-length trailer for their next movie, Trolls, in theaters starting this November. While this is based on the funky little toys you used to collect as kids, it's also a musical about finding happiness and your "true colors". Featuring original music from Justin Timberlake, the film stars the voice talent of Anna Kendrick, Zooey Deschanel, Russell Brand, James Corden, Kunal Nayyar, Ron Funches, Icona Pop, Gwen Stefani and many more. This new trailer briefly goes behind-the-scenes with some shots of Kendrick and Timberlake talking about music and bringing this story to life. This looks quite lovely. You can still see the first full trailer for DreamWorks' Trolls here, to see even more footage from this. From the creators of Shrek comes the most smart, funny, irreverent animated comedy of the year, DreamWorks’ Trolls. This holiday season, enter a colorful, wondrous world populated by hilariously unforgettable characters and discover the story of the overly optimistic Trolls, with a constant song on their lips, and the comedicly pessimistic Bergens, who are only happy when they have trolls in their stomach. 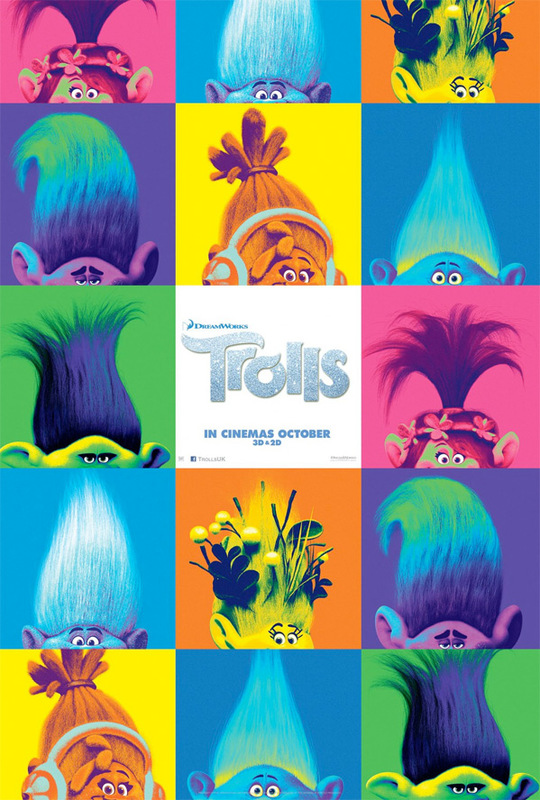 DreamWorks Animation's Trolls is co-directed by Mike Mitchell (Shrek Forever After, Alvin and the Chipmunks: Chipwrecked) & Walt Dohrn ("SpongeBob SquarePants"). The screenplay is by Jonathan Aibel & Glenn Berger. Fox will open DWA's Trolls in theaters everywhere starting November 4th. Anyone? teletubbies fans will love it. The textures and cast make me want to see this. But I doubt it'll be anything special. The potential soundtrack is the best thing this movie has going for it. Well, and that insane cast.